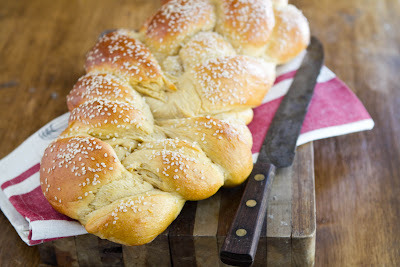 Whole Wheat Sweet Potato Challah | Naturally. This list is chocked full of things I want to do to better myself and hopefully, find happiness. On this list are: Gear my diet (and by diet, I don’t mean the loose-weight kind) towards more whole foods. Become more active through hiking, kayaking, and biking. Practice piano (this is more of a necessity that I have avoided up until now…). Spend more time in the kitchen and sharing on my blog. And finally, spend a lot more time with my camera. So this past weekend I went hiking, practiced piano, cooked, went to the farm, and found a couple of couples that were willing to be my test subjects. I absolutely adore photography (especially people) and I still have so much to learn. However, I learn best my hands-on experience (and trial/error) so what better way to learn than get out there and practice! All in all, I had a great weekend. Now, if you ask me why I decided to make challah, I have no answer. I had extra sweet potato puree and thought to myself, “I should make some sort of bread with this” and challah is what I came up with. To be fair, I wasn’t even going to post this because at first I thought the sweet potato didn’t do anything. Sure, the loaf was slightly darker than it normally would have been but there wasn’t much color and no taste. So, I dismissed this recipe. Until I realized that even two days later the challah was still extremely moist and delicious. Then I thought back and realized that the bread had always been extremely moist and delicious. The sweet potato added a little extra “umph” to the bread that made it that much better! I will definitely be making another loaf like this! 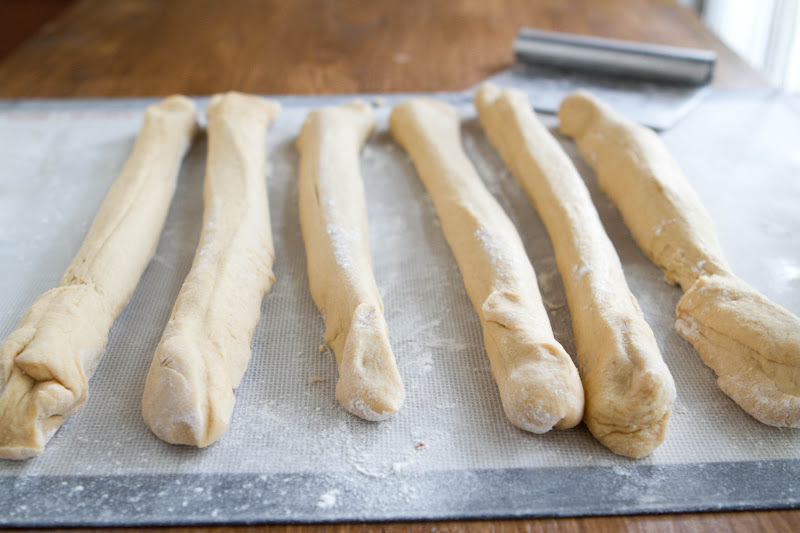 Remove from mixer, place dough in a well oiled bowl, cover, and set in a warm place. Let rise until doubled- around an hour. After the first rise, punch down the dough, cover, and let rise for another half-hour. After the first two rises, remove dough from bowl and divide into three pieces. (six if you feel ambitious). 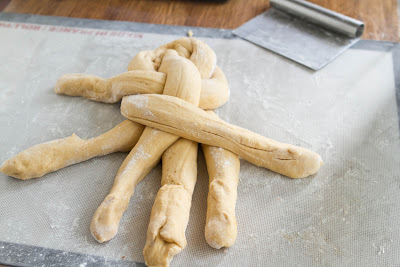 For a three braid challah, roll each ball of dough into a strand and place the three strands parallel to each other on a flour surface. Pinch the ends together and braid like you would a hair braid. 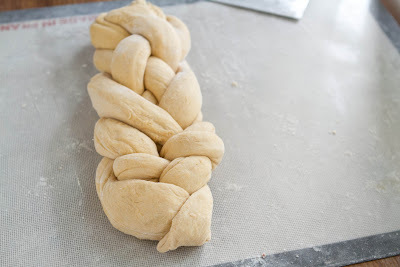 (For excellent instructions on six braid, visit Deb’s site.) Place loaf on an oiled sheet tray. Place loaf in warm spot and let rise again until doubled- half hour to forty-five minutes. Towards the end of the second rise, preheat oven to 375˚. In a bow, mix one egg yolk with two tablespoons of water- brush loaf (making sure entire surface is covered.) Sprinkle with poppy seeds (or sesame, which is what I like!) Place in oven and bake for 30 to 35 minutes until golden brown. Adapted from Deb at Smitten Kitchen. ERIN! I’ve been thinking of something just like this! I find that I start brainstorming things when i’m sitting in traffic on my way home for the day and I was JUST thinking of all the things I could do with Challah. This looks gorgeous, will be making asap. I can’t believe I didn’t think of it before! I love challah! This looks amazing – I will definitely be trying it! And since I tend to skim, I read the recipe before reading the upfront… we’ve been working on our photo skills as well. It’s amazing how different it is to try and capture portraits vs. food stills! Those shots look great! I know! Food helps me get comfortable with my camera but when dealing with portraits I can never be ready fast enough! Good for you for taking charge! I definitely don’t take enough time to put myself first. It’s something many of us need to work on. 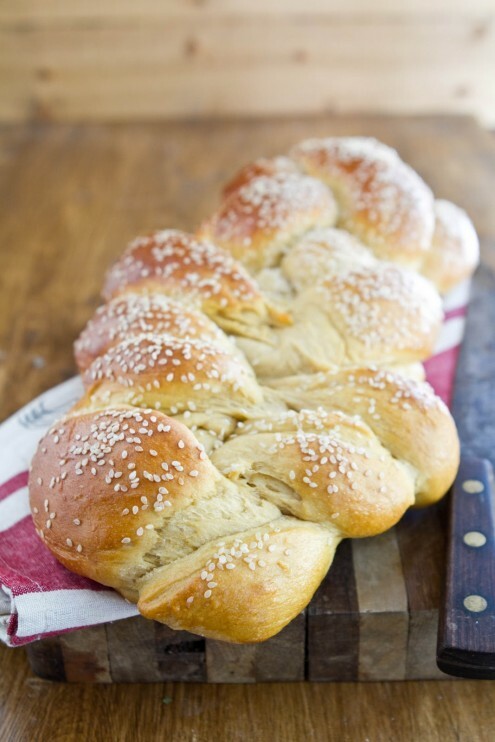 I also need to work on my challah skills – I’d love to make one as beautiful as this! I know this is an older post, but I was just recently made aware that you had this recipe on hand! I will have to give it a go! I am not so prior on using sugar, so is there any alternative that you could recommend, or is sugar the only thing that will activate the yeast? I was thinking either raw honey, maple syrup, or coconut sugar.